Alongside the new iPhones, Apple launched a new Apple Watch. 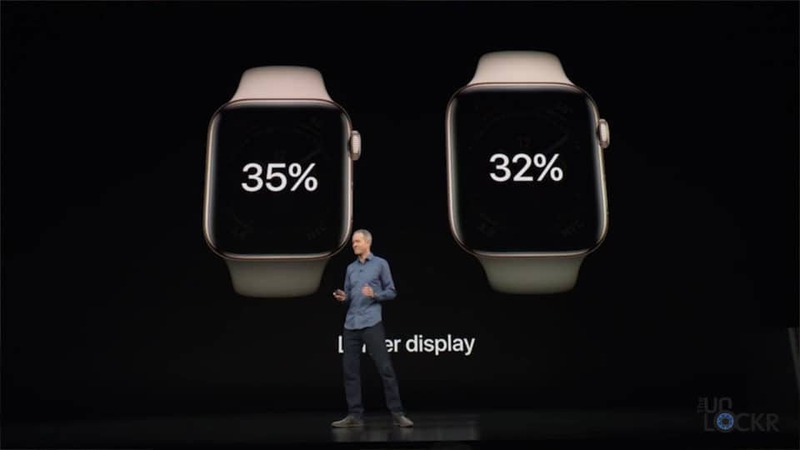 The Series 4 Apple watch is turning out to be the biggest change in design to the lineup since it came out (even if it’s not massive changes it’s finally changed). I managed to get my hands on one and figured I’d do a complete walkthrough for you guys on it. If you aren’t familiar a complete walkthrough on my channel is where I try and go through every aspect on a new device that I can, run it through some test, etc. so you guys are more prepared should you be in the market to go out and buy one. With that said, there is a lot to go through, as usual, so let’s get started with that new design. 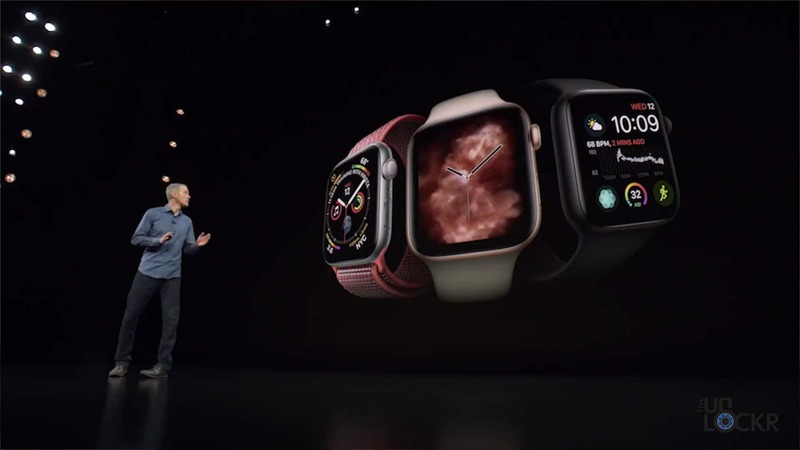 Firstly, the Apple Watch Series 4 comes in gold, silver, and space grey in the aluminum material and gold, silver, and space black for the stainless steel material. 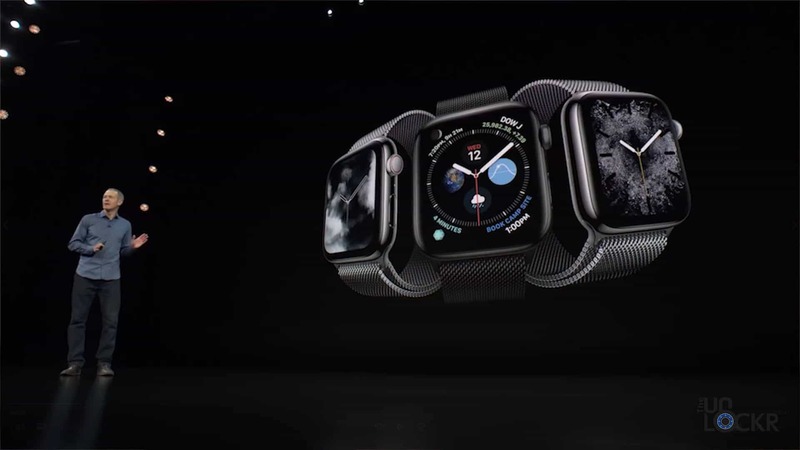 In addition to the stronger steel those versions have (and the more glossy look) they also have stronger glass using a sapphire glass on the watch face versus the Ion-X glass that the aluminum versions have. Looks wise you won’t be able to tell the difference but the sapphire will definitely be a bit more resistant to scratches than the Ion-X. The cases themselves are larger than last year’s coming with a 40mm or a 44mm case option versus the 38mm and 42mm of last year. 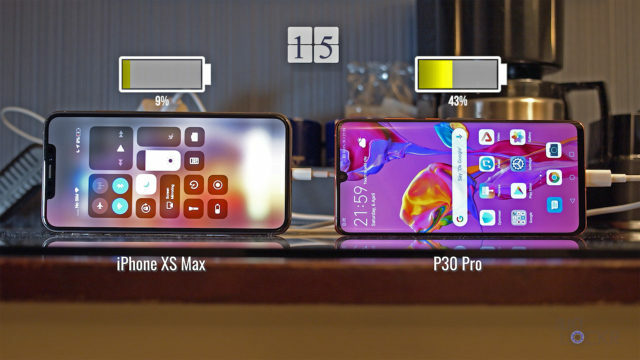 The thing is though that even though the case is larger, the bezels are smaller and more rounded than last year so you have a better screen to case ratio which helps with the look in the larger size, for sure. We have a 1.57″ LPTO AMOLED screen for the 40mm with a 394×324 resolution (the Series 3 38mm had a 1.5″ with 340×272) and a 1.78″ LPTO AMOLED for the 44mm with a resolution of 448×368 (the Series 3 42mm had a 1.65″ with 390×312). 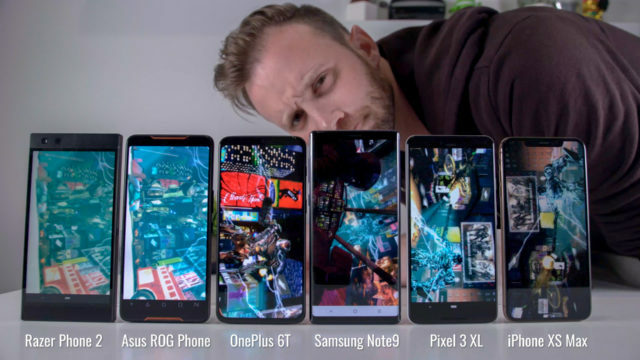 So larger screens, smaller bezels, and a higher pixel density. Moving around the case, we have a much larger speaker now that takes up the entire side of the device which is supposedly 50% louder. And that means the microphone has now been moved to the other side (Apple also says this helps with echo during calls, etc.). On the side with the microphone, we have our new power button, that can also be used not only to turn off the watch but also summon emergency services when held down. If you tap it instead, it’ll bring up your recently used apps you can switch between (like the multitasking gesture on the iPhone does) or your favorite apps if you want to set it to that. Also, it seems that this button is more flush with the side of the watch compared to last year’s that stuck out slightly. Next to that, is the new digital crown which is slightly thinner than the Series 3 one, but also now has a haptic vibration engine in it that gives you a slight vibration when you use it to more mimic a crown on a traditional mechanical watch. 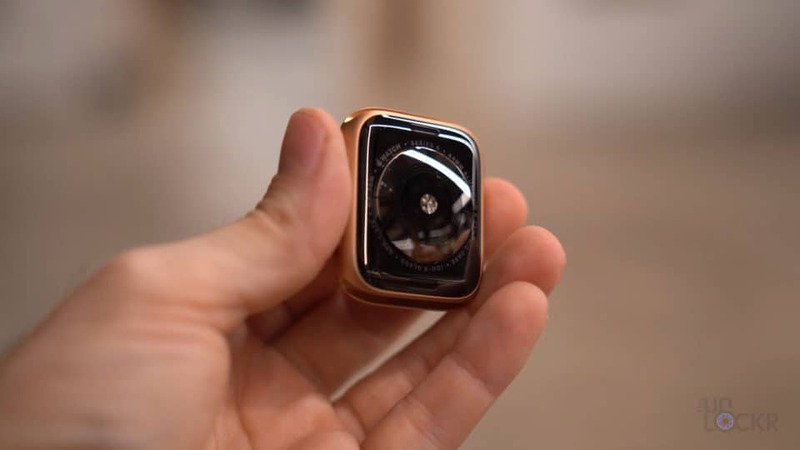 Also, in the new crown is a sensor that can be used in conjunction with the heart rate sensor on the bottom of the watch to generate a certified ECG (also known as an EKG, by the way). This is the jumping line we’re used to seeing at hospitals (or in movies of hospitals if you’re fortunate enough to never have seen one yourself). It can be used to monitor heart rate (which the heart rate sensor could have done already) and rhythm a bit more accurately. You can then send this data using Apple’s services to a doc should you need. Unfortunately, this feature isn’t available at launch and is coming soon in an update apparently (or I would have tested it for you guys). 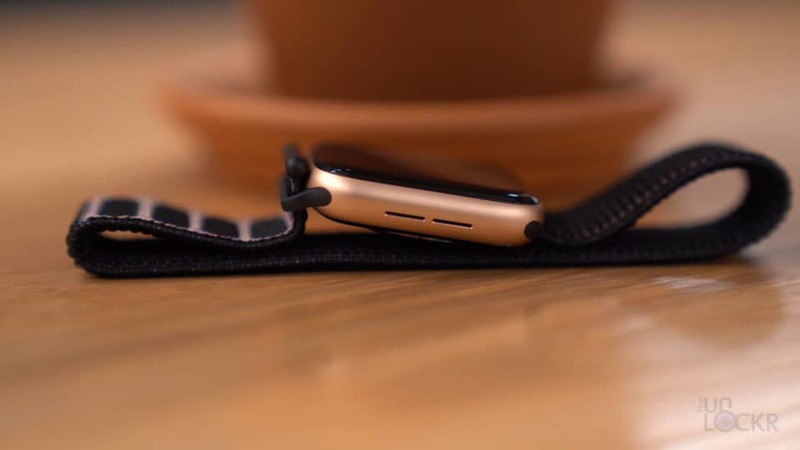 Speaking of the heart rate monitor on the underside of the watch, we now have a ceramic bottom instead which means better signal for Bluetooth and for LTE users for LTE since the signals can pass through the top and bottom now. Speaking of Bluetooth, we now have Bluetooth 5.0 which is faster and more stable than 4.2 which is what the old watch had. 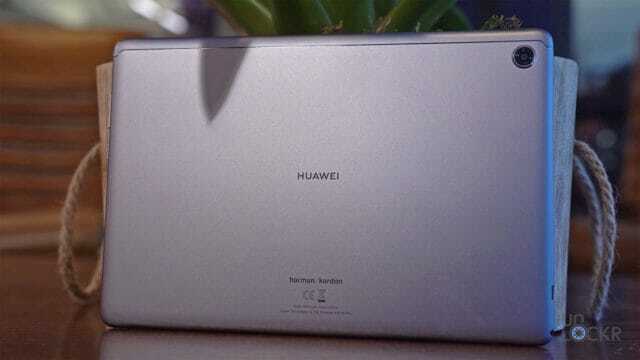 Powering the device, we now have a new S4 chipset compared to the S3 which is supposedly faster than the old one and more power efficient. We have 16GBs of internal storage that you can use to put your own music using Apple Music. It’ll automatically add songs to the watch whenever you get new songs in Apple Music and the watch and iPhone are sitting near each other. 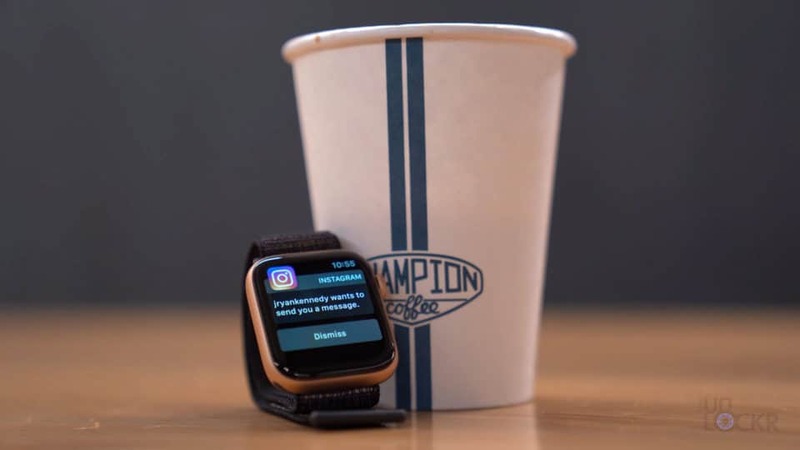 As far as software is concerned, we have WatchOS 5 which is going to be the same as it is on any Apple Watch for the most part so I won’t go too in-depth into it, but just go over the basics on how it works as well as some stand out features. WatchOS begins with your Watch face. This is what you see whenever you raise your wrist and is the starting point for the OS. Swiping from the left will quickly switch between your installed watch faces. You can tap and hold on any of them to then swipe ones away you don’t want, scroll to the far right to add new ones, or tap customize on any to then be able to adjust that specific face. You’ll get indicators at the top to show you how many things you can customize. You swipe left and right to move between these and use the crown to scroll through the options within each thing. You can also customize complications, as Apple calls them, by tapping on the different highlighted sections of the face then using the crown again to cycle through the different options. Once satisfied you can click the crown in to save it. When looking at the watch face, you’ll see a red dot to let you know if you have any notifications and then, if you swipe down from the top of the watch, you’ll get all of your notifications. 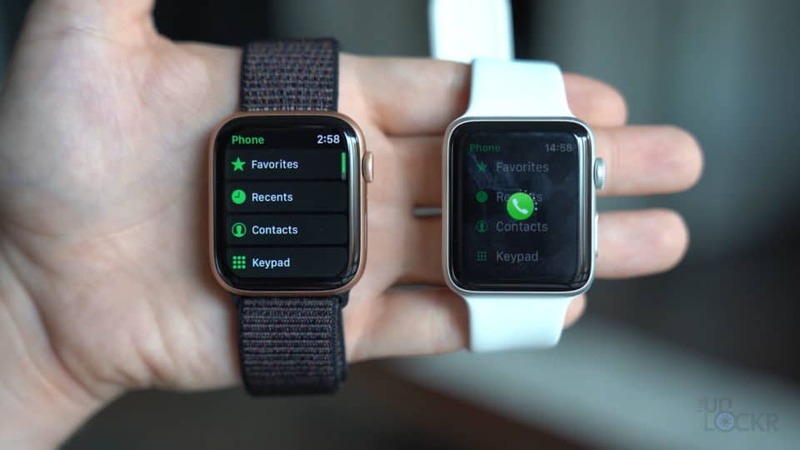 You can swipe these away to not only dismiss them on the watch but they’ll also be dismissed on the iPhone, as well. You can tap them to interact with them: reply to an email, text, archive a message, etc. Swiping up from the bottom gets you to the control center which, like on your iPhone, lets you turn on and off various settings like WiFi, Airplane mode, check the battery, ping your phone, turn on a flashlight (which gives you a white, flashing white, or red screen to use as one), turn on do not disturb, sound on and off, theater mode (which turns off the screen until you push the crown and won’t let it light up when your arm moves unlike do not disturb), eject water (which has you spin the crown to eject any water after a swim), and Airplay for displaying your watch on an AirPlay-enabled device nearby. You can also move these options around by tapping edit at the bottom. Rotating the crown is for navigating the UI if needed as we’ve already seen and tapped it once brings you back to the watch face if you aren’t on it, but if you are tapping it will open the apps installed on the watch. You can tap whichever you want open and you can turn the digital crown to zoom out to see more apps on the screen or the other way to open the app in the center of the screen. If you double tap the crown, you’ll open your most recent app and if you tap and hold on the crown, you’ll get Siri. Again pushing the power button gets you to your recent apps or favorite apps which you can choose which in the Apple Watch app on your iPhone. Double tapping it will open Apple pay which you can use the NFC in the watch to then tap it against any Apple Pay terminal to pay. 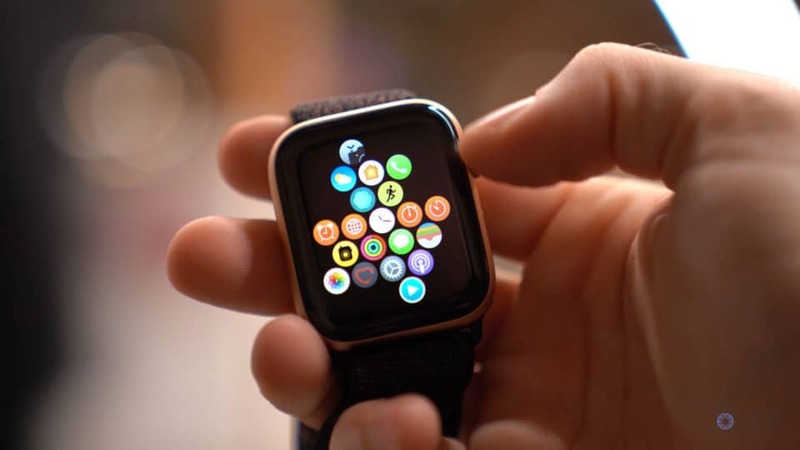 If you tap and hold that power button you can swipe to turn off the watch or swipe to contact emergency services. Speaking of emergency services, you can enable a feature that will detect if you fall while wearing the watch and don’t move for a few minutes and it’ll contact emergency services automatically. Apple does warn you though that if you are “active” that your workouts might accidentally trigger this so it might be best to leave it off. Now, really quickly, let’s go through the settings. Time: You can actually set the watch time ahead in case you’re the type of person who is always late. This will not affect alarms, it just changes the time on the watch face. Airplane Mode: Same as any airplane mode–it turns off all the transmission features like Bluetooth, LTE, Wifi, etc. 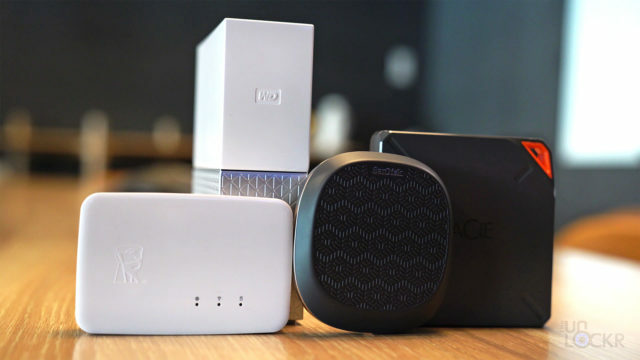 Wi-Fi: Which lets you turn wifi on and off as well as connect to a network if you want. Bluetooth: Let’s you turn Bluetooth on and off as well as pair with new devices as well as health specific devices. Cellular: Only available on the LTE models, but this lets you view your cellular plan, usage, etc. Do Not Disturb: Enables/disables do not disturb which stops you from being notified by any new notifications. About: Gives you info about the watch’s status, firmware, storage, etc. Orientation: Let’s you select which arm you wear it on as well as which side you want the crown to be on. Wake Screen: You can select if you want the screen to turn on when it recognizes your arm being raised, if you spin the crown up, or if an audio app is enabled. You can also, choose if you want it to automatically show the last app you were using based on various time options of how long ago you were using it, and select between 15 or 70 seconds for the screen to stay awake if it is tapped by your finger. Nightstand Mode: Will dim the display and show the time constant when the watch is charging, and it will also slowly brighten up when you have an alarm set on it. Location Services: Let’s you choose if you want the watch to give your location to apps and/or friends you’ve shared it with. 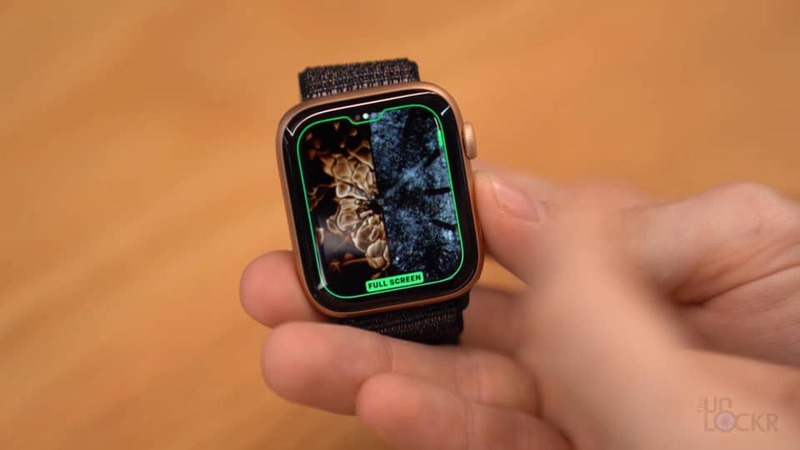 Accessibility: Gives options for those hard of hearing or seeing to help them use the watch like reading aloud what’s on the screen or zooming in. Website Data: Which lets you clear website data from websites you view on the watch (not sure why you’d use the watch to view a website, personally, but there you go). 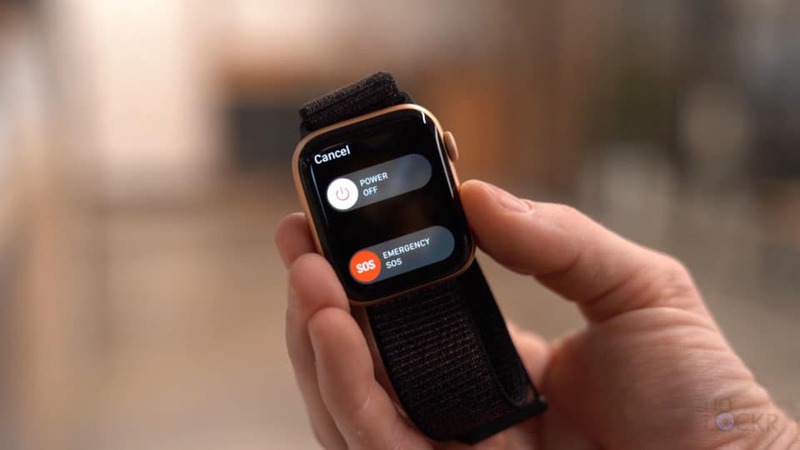 Siri: Control whether you want Siri on the watch to respond to Hey, Siri; if you want Siri to listen if you just raise the watch to your mouth; whether you want Siri to respond back with audio or not or just through headphones only, and her volume. Workout: You can have it autopause running whenever you stop and pick back up once you start again; have it remind you to start or end a workout; have it auto-detect gym equipment that is compatible when you tap the watch to the equipment, and power saver mode which turns off cellular and heart rate monitoring during a workout for less accuracy but more battery life. Regulatory: Just legal info basically. 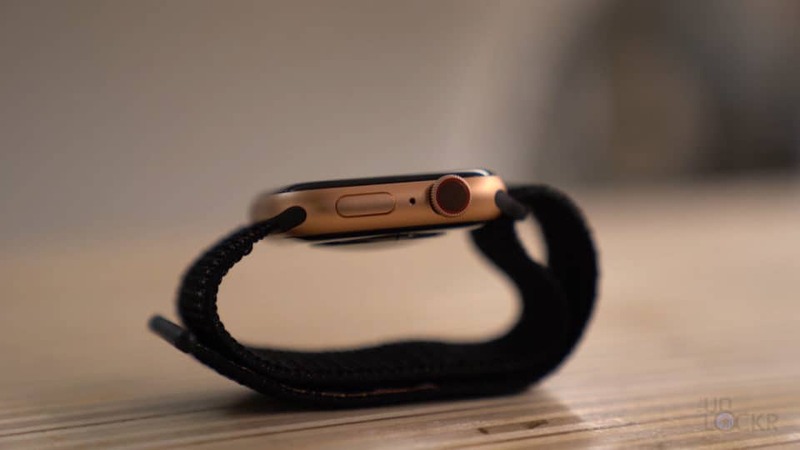 Reset: Allows you to reset and erase the watch in case you want to start over or pair it with another device. Brightness & Text Size: Let’s you adjust the brightness (obviously) and choose between 6 different text sizes for the display as well as bold text if you want. 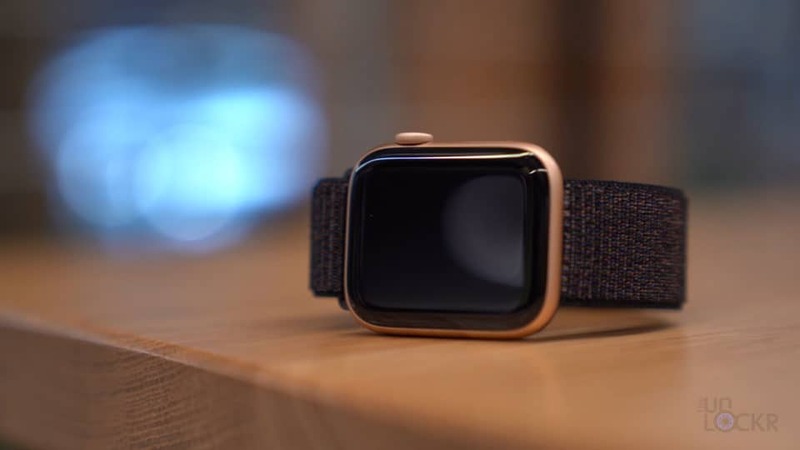 Sounds & Haptics: You can choose the alert volume, decide if you want haptic aka vibrations for alerts as well as choose between the default version or a more prominent vibration, turn on and off the haptics for the crown, and choose whether tapping Minnie or Mickey mouse on their watch faces will read the time out loud. 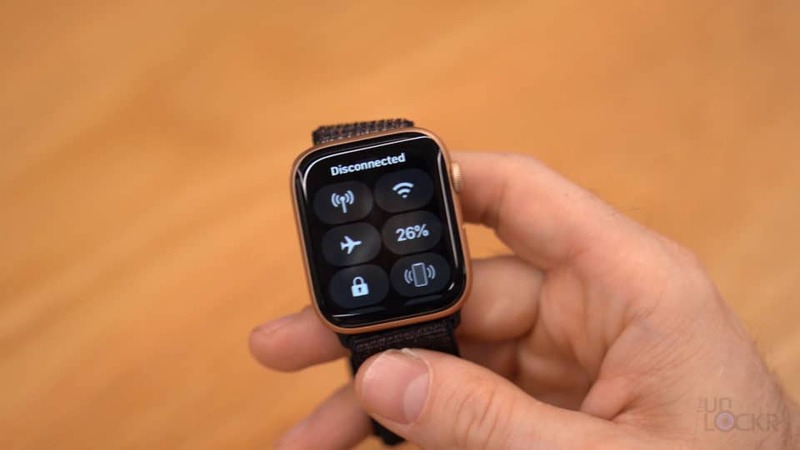 Passcode: You can turn the passcode on and off, change it, let the iPhone unlock it if it’s near, and wrist detection which makes the watch require a passcode whenever it is removed from your wrist. And that is that. Let me know what you think of the new watch and the video itself in the comments below.